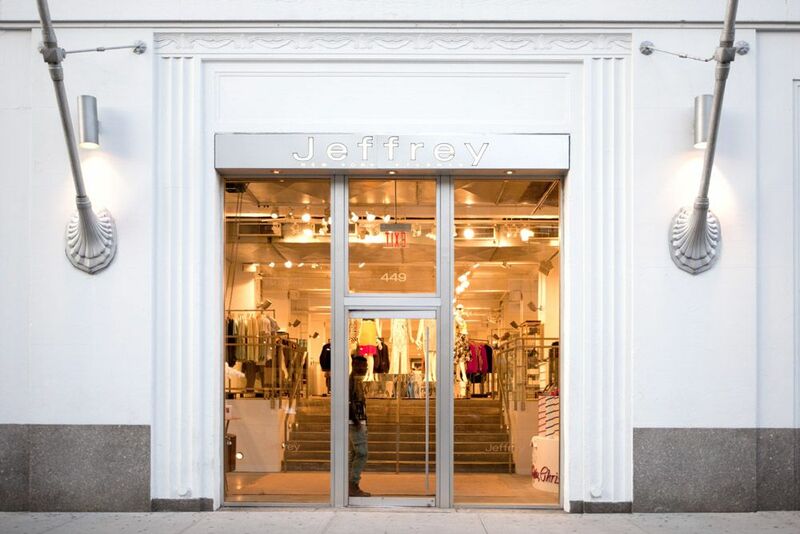 Jeffrey, the boutique chain that brought designer fashion to the then grimy Meatpacking District in New York City, turns 30 this year. President and founder Jeffrey Kalinsky has not only seen neighbors like the Standard, the Whitney Museum and the High Line pop up in the now chic nabe, but the retail veteran has also witnessed a wave of change in fashion, retail and how consumers access information. At WWD’s Men’s Style event in New York last week, Kalinsky shared his retail wisdom about the rise of streetwear, the future of tailoring and why, in retail, it pays to go out on a limb. Despite the tailoring and elegant looks that are filtering in for Fall ’19 from the runway, Kalinsky doesn’t see streetwear scaling back any time soon. Streetwear also became an interesting alternative for women’s brands. “To be able to start selling hoodies and classifications they have never sold and to be able to sell them for $2,000 is never a bad thing,” Kalinsky added. Next fall, men will be able to buy sneakers, combat boots and a stiletto by Francesco Russo. The same goes for tailored items like suiting and overcoats, which will share space with hoodies come fall. “There has been an absence of tailoring in stores and the customer has an appetite for it, so I think it’s nice to swing back a bit,” Kalinsky said. Influencers, sport stars, musicians and fashion personalities will perpetuate the swing back to tailored fashion. Influencers are also a helpful tool for Kalinsky to plan his buys for the season. Scrolling through Instagram has replaced the need to scour through newspapers, magazines and fashion credits. However, he says accessibility to information has an opposite effect on his role as a merchant. You can still be the only retailer in New York City carrying a brand that no one else heard of, but it goes against the grain of the current retail market. As a retailer with a boutique approach to merchandising, each season he hopes brands don’t drop the two or three unique pieces from the collection so he can have a unique assortment. “Your buy is going to be different slash better from your point of view than the other, so that people can still go around to see the difference in stores,” he said. Kalinsky admits that sometimes a product secures its “unique” label for a reason.